LinkedIn has introduced its new tool Intro that gives you complete information about a person with a single tap. 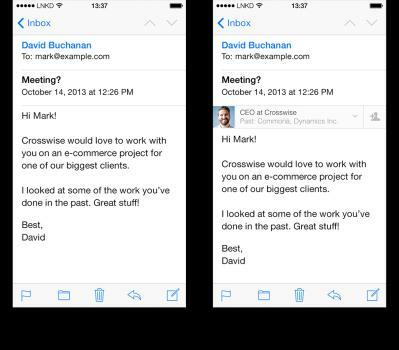 LinkedIn Intro is an e-mail plug-in for iOS users that pulls LinkedIn profile information into e-mails to give a complete professional history, location, schooling of anyone who sends you a message. LinkedIn Intro skims different web-based data from social networks and other sources to create on-the-fly profiles of the people who email you. You can have access to complete information about the person. 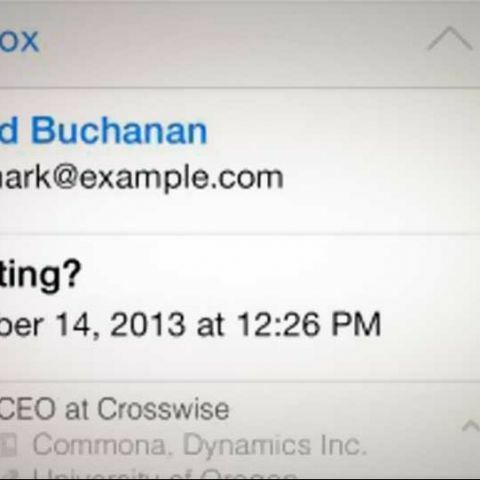 The sender’s job title appears front-and-center in e-mails on a user’s iPhone or iPad. This tool is useful for people who want to know a little bit more of the person emailing you before you reply. The service works with Gmail, Google Apps, Yahoo Mail, etc. However, security researchers are criticising the service and calling it a dream for hackers. The researchers state that LinkedIn Intro redirects e-mail traffic to and from users’ iPhones and iPads through LinkedIn’s servers, then examines those e-mails for relevant data and adds relevant LinkedIn details. Researchers stated that while making changes in an e-mail, LinkedIn has to decrypt it and then encrypt again, adding a new layer of insecurity to e-mail in transit during which anyone can hack in and get the complete details of a person. LinkedIn has responded that the customers have an option to choose the app, and only once they do so, that their e-mail is encrypted to and from its servers. LinkedIn added that it does not store any e-mail on its servers. “We understand that operating an email proxy server carries great responsibility. We respect the fact that your email may contain very personal or sensitive information, and we will do everything we can to make sure that it is safe,” the section on security reads, along with a link to LinkedIn’s ‘pledge of privacy’. Security issues are a big concern on LinkedIn, the site was hacked last year and more than six million user passwords popped up on a Russian message board, revealing the company's lack of even basic security protocols .